There are four species of domesticated squash that are commonly grown in gardens: winter squash, pumpkin, summer squash, and gourds. 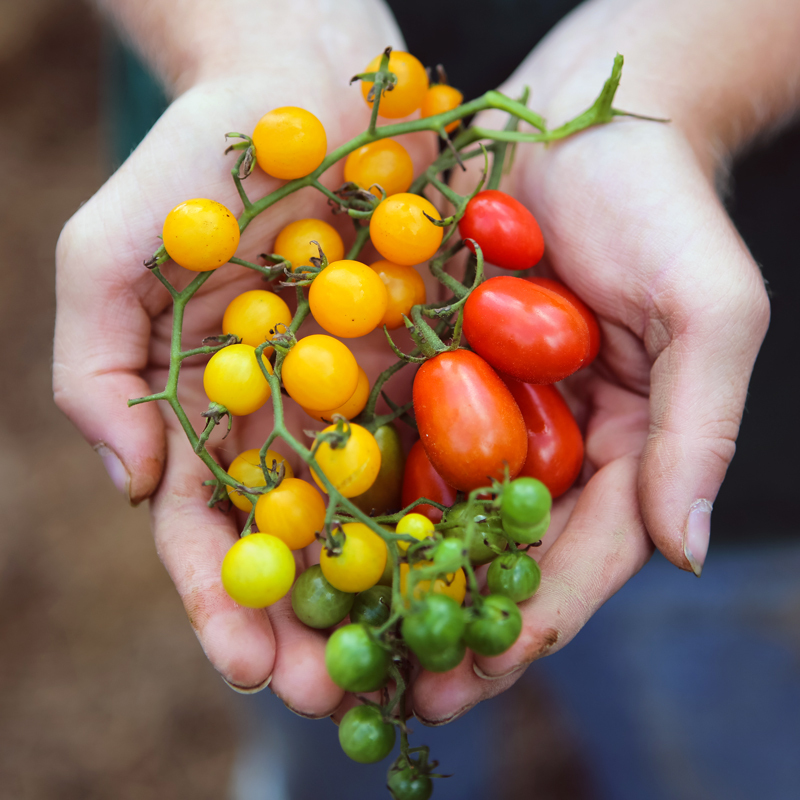 All four species are essentially cultivated in the same manner but members of the different species will not cross with one another, allowing a seed saver to grow multiple squash species at the same time. 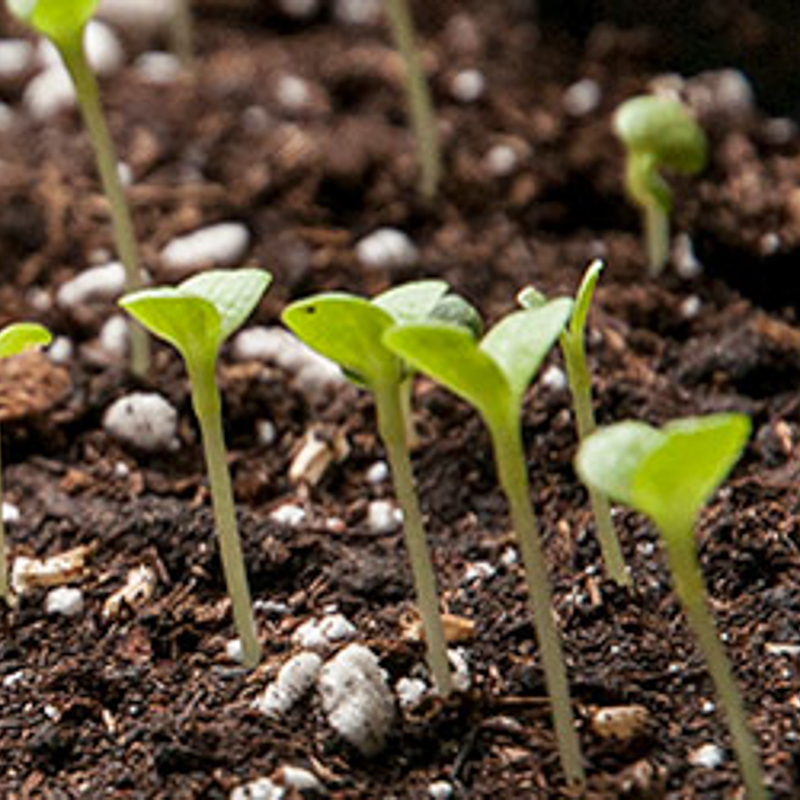 Sow seeds outdoors after danger of frost has passed in the spring, or start from seed indoors and transplant out in the spring. Create 12 inch diameter hills 6 inches apart. Plant 6-8 seeds per hill and later thin to 3-4 plants per hill. Sow seeds 1 inch deep. When growing squash for seed, hand-pollination is recommended. 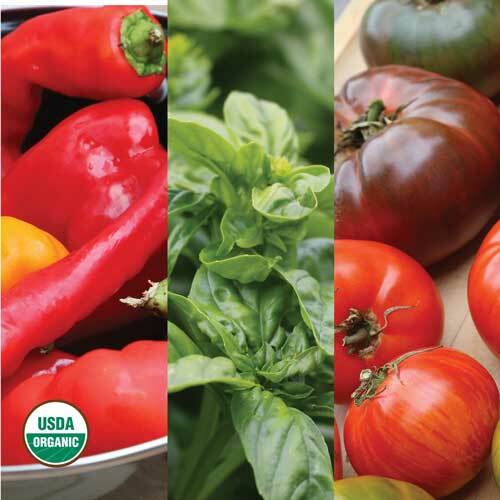 Common pests include aphids and slugs. Common diseases include powdery mildew, downy mildew, and cucumber mosaic virus. Watch plants carefully for signs of this virus - yellow mottling, puckering of leaves, and rotting fruit, and remove plants from the garden. Do not place infected plants in the compost pile that you use for your garden. Aphids can carry the virus, so you may want to consider pest control methods to control aphids in the garden. 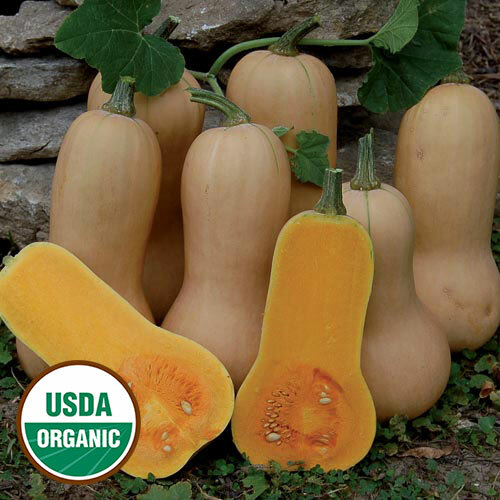 As there are four different species in the squash family, harvest time varies by species and variety. 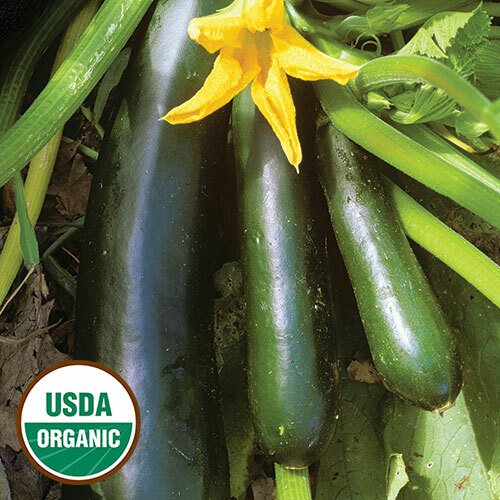 Yellow squash and zucchini should be cut with a knife or pruners, leaving about ½-1 inch of stalk on the fruit. 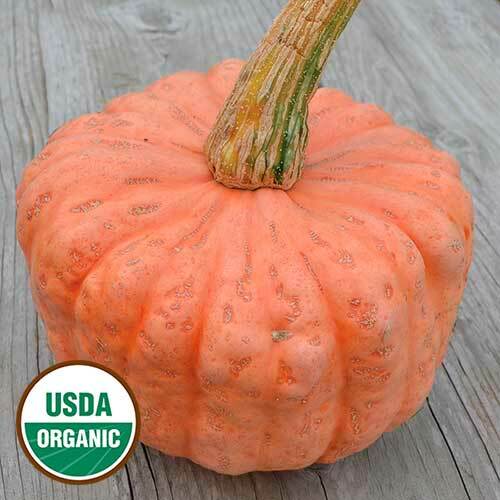 Other types of squash, like pumpkins and gourds, can be harvested when the stem turns brown. Stems can be twisted off or cut. Squash has diverse culinary uses. Pumpkins are used to make pies and their seeds can be roasted. Zucchini and yellow squash are often incorporated into stir fry recipes and omelets, and butternut squash (and others) can be used in soups. Zucchini and yellow squash will last a week or more in the refrigerator, whereas the squash with thicker, harder skin can last significantly longer - up to several months, depending on the species. There are four species of domesticated squash that are commonly grown in gardens. All four species have the same mating system and are essentially cultivated in the same manner when grown for seed. 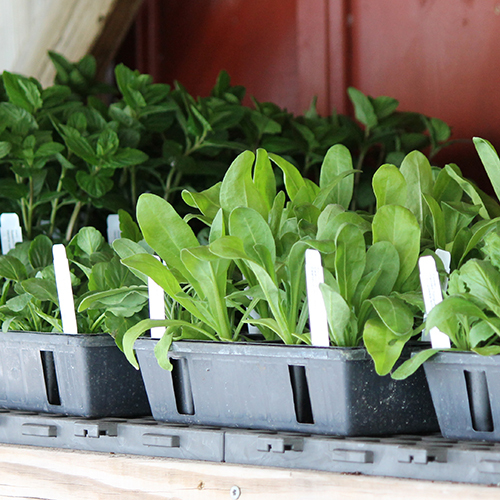 However, generally a seed saver can grow one variety of each species for seed without worrying about crossing. Separate varieties by 800 feet to ½ mile. To ensure viable seeds, save seeds from at least 1 plant. When maintaining a variety over many generations, save seeds from 5 - 10 plants. If you’re saving seeds for genetic preservation of a rare variety, save seeds from 25 plants or more. 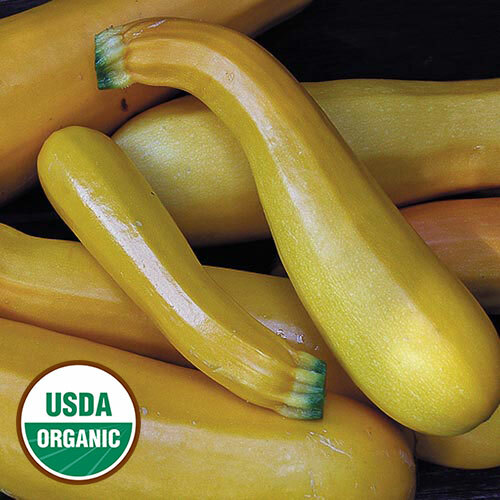 At seed maturity, summer squash will be much larger than their market-mature size, and they typically undergo a color change. Fruits are ready to harvest when the rind is too hard to dent with a fingernail and the stem is dry. Winter squash are typically mature when fruits are normally harvested for eating: after they change color and fruit stems are dry. All types of squash benefit from a period of post-harvest ripening during which the seeds continue to mature. Fruits are typically held for at least 20 days beyond fruit maturity before their seeds are extracted. Although they can further ripen on the vine, squash are susceptible to diseases and sunscald, and it is generally recommended that fruits be harvested and moved to a shady location or indoors for post-harvest ripening. Commercial seed growers process winter squash after 20 days, but seeds can be extracted from squash later in the winter instead, when the fruits are used for cooking. To remove squash seeds from the fruits, simply split the squash in half by shallowly cutting through the rind from top to bottom on both sides and separating the two halves. Cutting through the center of the fruit can damage seeds. Next, scoop out the seeds, massaging them free from the pulp as much as possible. Transfer them to a wide-mesh strainer—or any other container with openings large enough for pulp and strings to pass through—for rinsing.Running the seeds under a strong stream of water will help dislodge the seeds from the pulp. When working with varieties whose seeds are hard to separate from the pulp, soaking the seeds for a few hours can facilitate cleaning. Large screens made from quarter-inch hardware cloth work well for cleaning and rinsing big batches of seeds. Immediately after cleaning, rinsed seeds should be spread out to dry in a thin layer on screens, if possible. Decanting can be a good way to separate viable seeds from lightweight and underdeveloped seeds. Decanting simply means pouring out the mixture of water, pulp, and immature seeds off the top of the liquid, while keeping the mature, viable seeds at the bottom of the glass. This method is only effective for some types of squash because even the viable seeds of many varieties will float, rather than sink. Alternatively, winnowing can help separate lightweight and underdeveloped seeds once the seeds are dry. When fruits are processed individually - such as when winter squash seeds are extracted as a meal is prepared - the seeds should be cleaned and then mixed in and stored with seeds of other fruits from the same planting, in order to maintain the genetic diversity of the seed crop. When stored under cool, dry conditions, squash seeds can be expected to remain viable for six years. 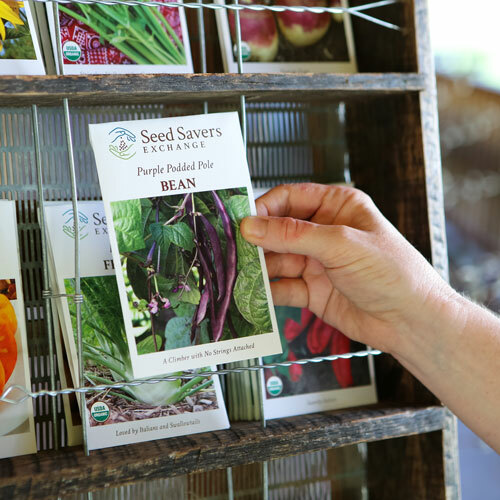 Never miss sales, updates, or news from Seed Savers Exchange with our newsletter.